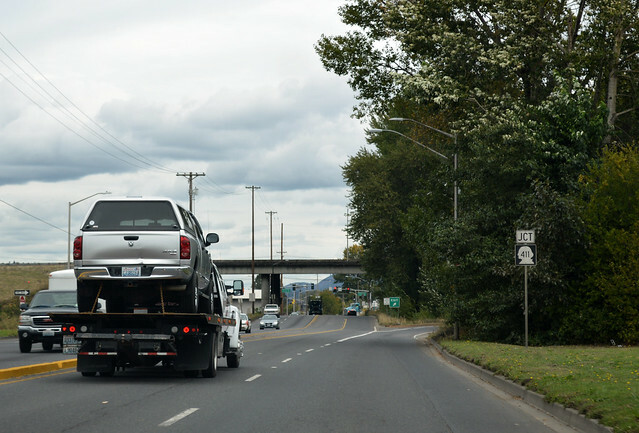 On Monday, October 3, 3016, we drove Washington State Route 432, from this side of Longview to that side of Kelso. 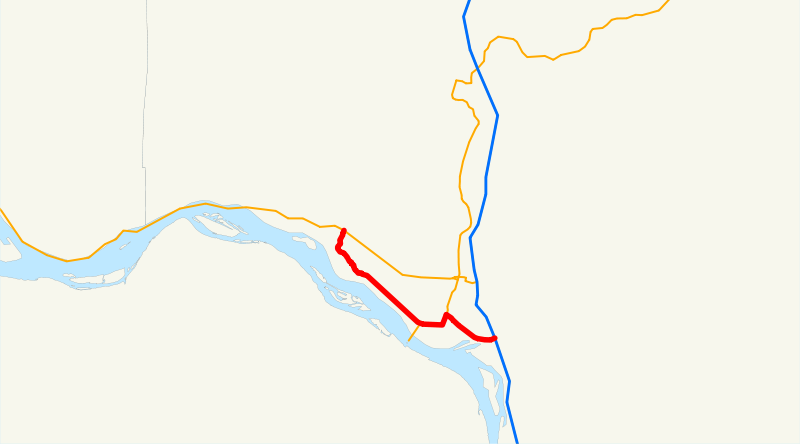 In 1964, when Washington adopted its current numbering system, this route was numbered SR 832, because it was a child of US Route 830. When the feds nixed that route number, US 830 in this area became SR 4. Thus SR 832 became SR 432 to match. Until 1992, the western end of SR 432 was near the heart of Longview and Sacajawea Park. 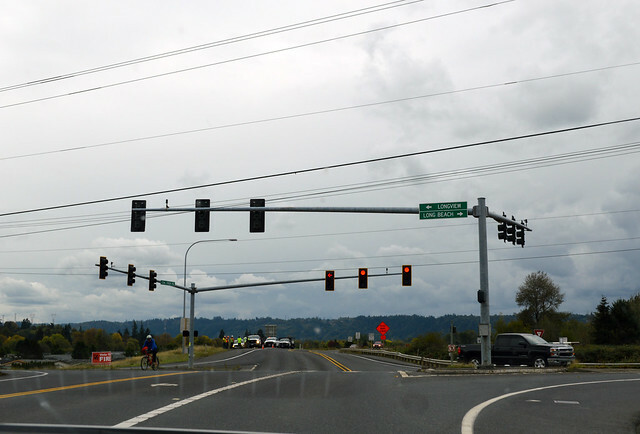 Ever since 1992, SR 432 has begun at this junction with SR 4 five miles farther west. So here we are. We head southward atop a dike. Below to the left is a residential neighborhood. Below to the right is Coal Creek Slough, connecting to the Columbia River. We descend down the dry side of the dike and curve eastward. We head into the woods of Mount Solo and soon cross under many high powerlines sending electricity into Oregon from Washington's only coal-burning (for now) power plant. Some of those powerlines branch off eastward, heading for a heavy industrial area. 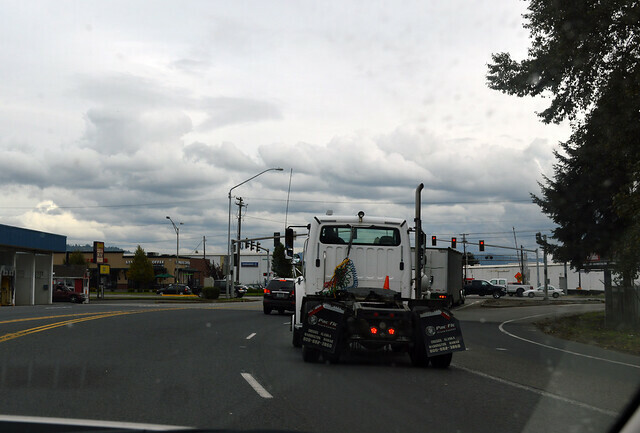 SR 432 takes us right into it, as well. An odd chemical smell permeates the car. Lumber mills, paper mills, etc. Closer to town, it transitions to light industrial and the smell goes away. Big trucks abound. Oh look, the junction with SR 433. Our route turn north, crosses the railroad tracks, and we arrive at the junction with SR 411, whereat we must exit right to stay on on SR 432. We speed east on a freeway so nice it could be an interstate -- except for the at-grade railroad crossing, that is. 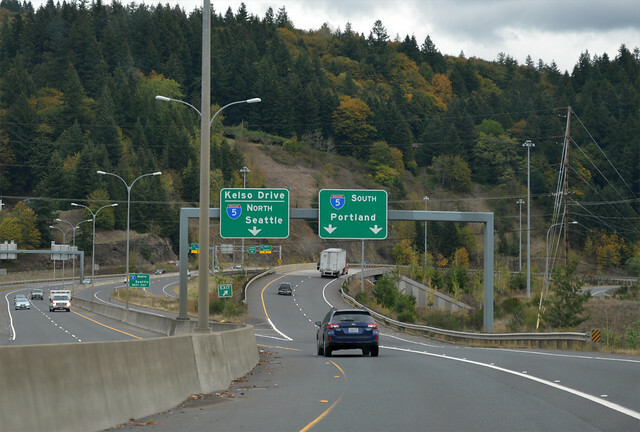 We vault high over the Cowlitz River and arrive at the interchange with I-5. 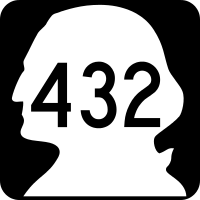 SR 432 is at its end.